Cahaba River Strings is comprised of some of Birmingham's finest professional musicians, including current members of the Alabama Symphony and the Atlanta Opera. 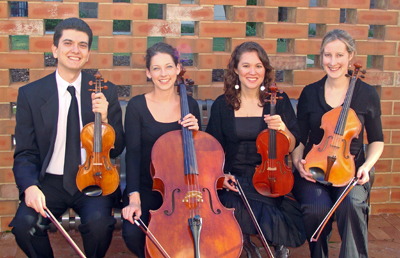 The musicians of Cahaba River Strings are graduates of some of the most prestigious music conservatories in the country and have played with orchestras and ensembles all over the world. We will gladly customize your event with our wide range of musical styles, from classical to Broadway and popular music. Call us today at (205)440-2560 or email: cahabariverstrings@gmail.com to discuss your musical needs and we will be happy to work with you to make your special occasion truly unique. © 2008 Copyright Poetic Web Design, Inc.